"PRICED TO SELL! Best deal in Point Alexis." 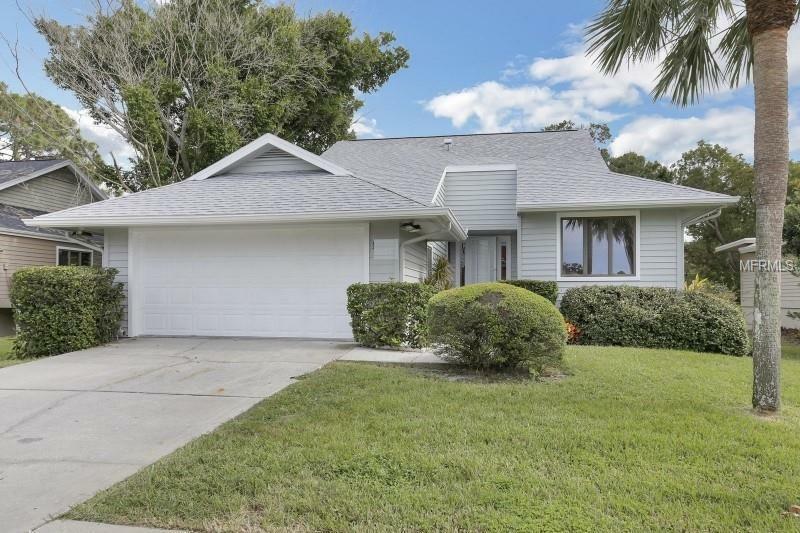 Look no further, your north Pinellas dream home has finally arrived! Located in the resort style, award winning community of Pointe Alexis. This fully remodeled 3/2/2 split plan property with NO REAR NEIGHBORS is a must see. This home offers a large master suite with his and her vanities along with a sitting/lounge area. You can Enjoy your morning cup of coffee in your master suite or on your private rear patio. In the living room you will find a custom fireplace that is a perfect center piece for the holidays or for your family get togethers. The resort style clubhouse has an Olympic size swimming pool, tennis courts, fitness center, billiards room and social areas. Located Close to the historic sponge docks and downtown Tarpon, dining and entertainment are right around the corner. This property features new kitchen cabinetry and granite, new Kitchen appliances, new bathroom vanities, new solid bamboo flooring, new tile, new carpeting, new roof 2018, new AC 2015. Don't miss out! Call now for a private showing.